We began planting vegetables back in 2008, when a group of Slow Food enthusiasts offered to get us started. 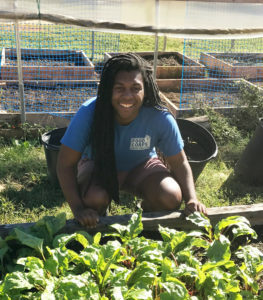 Running a school vegetable garden is a lot of work. But step by step we have moved from a few beds of carrots and lettuce to a full-fledged program that includes planting, harvesting, cooking and sales. Parent Bobbie Mabe, who now runs Growth Through Gardening, devoted countless hours to expanding the program and building support. 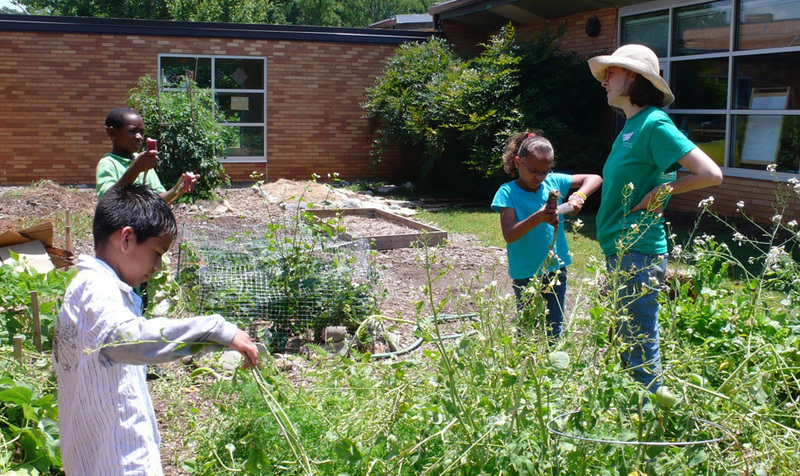 Now all Shamrock students garden or prepare food at least once a week. 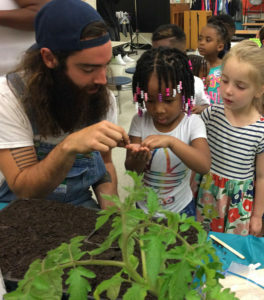 Thanks to our principal, and to North Carolina FoodCorps, this year’s activities are being led by Nicole Miller. The kids love her, the food, the lessons and the time outdoors.